Selling your vehicle overseas is not as risky as it used to be. The entire process is not too complicated, but you have to be cautious and well informed. You can hire a specialized company to help you, or you can do this by yourself. In that case, there are certain things you must know. Used cars in America are very popular because these cars are in much better shape than cars in most other countries. The roads in the United States are generally good, and the chances of damage are significantly reduced. Most people take good care about their cars, which is another important factor to consider when buying a used vehicle. Sometimes, the car can look good on the outside, but it is not so good on the inside. A smart buyer will be more interested in less visible parts of the vehicle. You can use the Internet to get more information on foreign markets. See what types of vehicles foreigners are interested in. 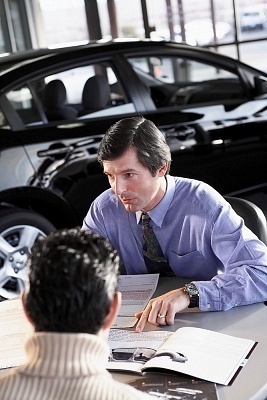 You can find numerous auto-forums and read about other people’s experiences when buying and selling cars. eBay is one of the most popular sites for car sales. You should submit good and clear photographs of your vehicle. Take several pictures and submit all of them, because this is the only way for a buyer to see the vehicle. • When you find a buyer, you will have to make arrangements regarding payment. Do not release your car before you get the money. Wire transfers are the most popular way of getting the money. Cashier’s checks are also acceptable, but these checks must be from domestic banks. If they’re not, well, don’t take them! • The car title must be clean. Before the car is shipped to a country overseas, the title has to be out of your name. • Now, here are several reasons not to handle shipping on your own. The seller’s liability will end as soon as the title is signed over. If you choose to handle shipping, liability won’t end there. This means you will be responsible until the buyer gets the car. If you decide to handle it anyway, you should find a reliable auto shipper in your state. Most people use brokers for international shipping. Hiring a broker will make things easier for you. All the paperwork will be done by professionals. You won’t have to worry about anything. Read more about the international car shipping process.